If you're designing a new kitchen, it's highly likely you'll be about to buy a new kitchen, too. It's a big investment of time and money, right? So it’s worth knowing your rights before you shell out. Here's what you need to know. 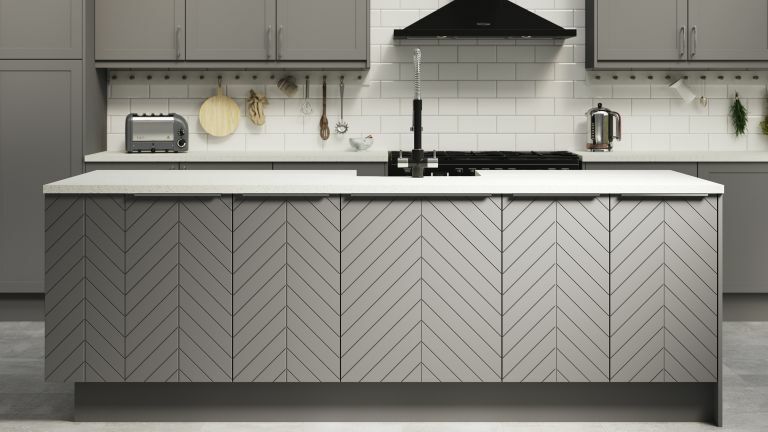 If you've found a kitchen you like, start by thoroughly researching the supplier and their fitter – although you might like to save money by fitting your own kitchen. Choosing trades accredited by Trustmark, the Kitchen, Bathroom, Bedroom Specialists Association (KBSA) or the Institute of Kitchen, Bedroom and Bathroom Installers (IKBBI) can help to resolve any issues that may arise, as you can approach the accreditation board for a dispute resolution directly. 'Does the retailer offer an installation service and who are their installers? What credentials, especially gas and electric, do they hold? Do they have valid public liability insurance and do they belong to a trade association? Does the showroom provide a survey service to help you understand the true costs of an installation, including if gas, water and electric systems need to be updated or if structural alterations need to take place to ensure your dream kitchen can be successfully installed? 'A lot of homeowners may want to use their builder to install the kitchen as well as build an extension, but this really should be carefully considered, as the skills may not always transfer,' continues Damian Walters. ‘Be clear about your vision and do your research so you won’t be afraid to ask questions about the project. Your designer, fitter or builder will appreciate you taking the time to understand what you want from the project, often resulting in a much better working relationship,' says Celia Francis, chief executive officer, Rated People. 'Make sure you give as much detail as possible at the initial meeting, such as whether your budget allows for materials or labour only, and be clear about what you want – the more specific you are, the easier it will be for your contractor to give you an accurate quote. Find out what you should be asking your kitchen designer before you appoint them. Keep a clear record of any kitchen quotes, kitchen design briefs, plans or communications with your supplier, and get in writing what the agreed price covers, including who will be responsible for disposing of old units or appliances, and any requirements specific to your project. Before you commit to a payment plan, check the company on Trading Standards’ approved Buy With Confidence scheme, which lists businesses that have been vetted to ensure they meet stringent regulations. ‘The next step is to decide on timelines to suit both you and your chosen professional, and make sure that you agree costs and a payment plan in writing before the project starts,' says Celia Francis, chief executive officer, Rated People. Ask your kitchen supplier what guarantee their company offers, but bear in mind that, before any guarantee is issued, you already have Rights under the Sale of Goods Act 1979. This means you have six years to make a claim for faulty goods in England, Wales and Northern Ireland; in Scotland you have five years. However, if making a claim six or more months after purchase it can be difficult as you need to prove the fault was present when purchased and not for example normal wear and tear. This is where a good guarantee can make it easier and quicker to get sorted if there is a problem. Paying by credit card is advisable, as all purchases are protected under Section 75 of the Consumer Credit Act, so if a business goes into liquidation before delivery, you are entitled to a full refund from the card provider. This covers all purchases between the value of £100 and £60,260, but never pay the full balance of the job before completion. What to do if the kitchen fitter doesn't come? When a tradesperson fails to turn up, call and ask for an explanation first. ‘Give them a second deadline to start the work and if they fail to turn up again, get quotes from other fitters and warn the first supplier you’ll be looking to recoup extra cost from them,’ advises Amanda Diamond of Which?. If a company disappears before the fitting is completed, recuperation can take some time.